Apple's recent victory over Samsung, when a California jury awarded the Cupertino company over $1 billion of Samsung's money, is hardly the final chapter in the two tech giants' everlasting patent war. Heck, the parties haven't even reached the epilogue yet. In a new development, the U.S. Court of Appeals for the Federal Circuit decided on Thursday to permanently reverse a California court's previous decision to grant Apple a preliminary injunction on Samsung's Galaxy Nexus smartphone. The injunction, which was hard-won by Apple, prevented the phone from being sold in the U.S., but the federal appeals court's panel of judges determined that the California court "abused its discretion" in granting the ban. 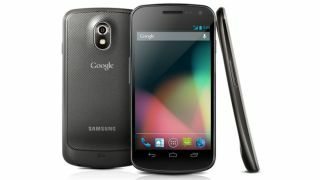 With the sales ban on the Galaxy Nexus officially lifted, Samsung is free to sell the flagship Android phone in the U.S. as soon as it can get the device to shelves and doorsteps. TechRadar has reached out to Samsung to determine when it plans to do so, but so far the Korean company has yet to respond. The reversal of the injunction is certainly a victory for Samsung, though its war with Apple rages ever onward regardless. Over the summer, U.S. District judge Lucy Koh decided to grant Apple preliminary sales bans on numerous Samsung devices, including the Galaxy Tab 10.1 and Galaxy Nexus. At the time, Koh determined that mounting pre-trial evidence against Samsung, in particular related to Apple patents concerning Siri-like search features, justified the injunction. "Although some consumers may be disappointed that they cannot purchase the Galaxy Nexus, the Galaxy Nexus, as Samsung itself has repeatedly insisted, is not Samsung's only smartphone product on the market," Koh wrote in a July 5 ruling. Samsung promised to pursue the matter with the federal circuit appeals court, and it seems that move has finally paid off.